Frank Soriano is a keynote speaker and consultant who challenges teams to think about their thinking, so they can modify their behavior to achieve better business outcomes, by enhancing their relationships and engaging in effective conversations. Frank’s keynotes not only deliver valuable leadership information, but also provide the context for the information, making his presentations all the more meaningful for his audiences. He weaves into each of his presentations his own realizations, based not only on his corporate history, but also on personal and family experiences. Frank’s keynote content, while extremely helpful from an organizational perspective, is also useful to participants in their day- to-day lives, even when dealing with aging parents, children, partners, colleagues and friends. 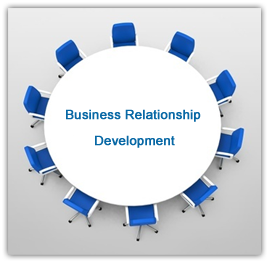 Frank is the creator/designer of The Business Relationship Model – a model that outlines the critical factors addressing the issues of the “soft skills” that are necessary for establishing and improving business relationships. Along with his intriguing perspectives on leadership and systems thinking, Frank folds humour and personal stories into each of his keynotes to make his presentations all the more thought-provoking, poignant, meaningful and applicable.